Los Angeles Signs | From Concept to Finish at The Sign Studio! A journey from concept to completion at The Sign Studio! Signs Los Angeles | Custom Signs - ADA, Braille, Handicap and More! ADA Signs / Braille Signs / Handicap Signs / Restroom Signs and more! Los Angeles Signs | Title 24 and ADA Restroom Signs.......Questions?? ADA and Title 24 Restroom Signs - Do you have Any Questions? Signs Los Angeles | How Effecient Signs and Banners are for YOU! Signs and banners are an efficient way to advertise any type of business with lasting results. How Effecient can signs & banners be for you! Signs Los Angeles | Are you Looking for Custom or Specialty Signs? Signs Los Angeles | Are you looking for signs? We have your signs!!! Are you looking for signs? We have your signs!!! Los Angeles Signs | Do you need Regulatory, Traffic or ADA Signage? 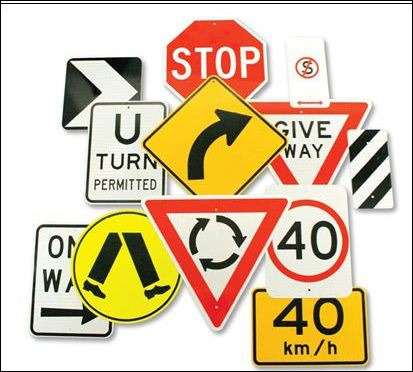 Do you need Regulatory/Traffic Signs, Health and Safety Signs or ADA/Handicap Signs? If you are a business owner, you understand that you must provide parking for visitors to your establishment if you are going to generate any kind of traffic at all. While most business storefronts already have some form of parking available, just taking it for granted that everyone will be able to locate a spot for them will just not be good enough. As a matter of fact there are some things that the authorities consider a must if you are going to provide proper parking for your customers. Handicap signs, regulatory signs, Health and Safety signs must all be in place or you may not just miss out on some great business, but you could even be fined a hefty sum. Signs Los Angeles | Looking for ADA, Handicap or Wheelchair Signs? Are you looking for handicap signs, ADA signs, wheelchair signs, etc....? If so, you have come to the right place! The Sign Studio can create all of the signs that you need for a price that fits your budget. The Sign Studio will work with you to concept, create, design and install signage that serves your particular needs. At The Sign Studio we do graphics for your business, vehicle and windows to help you gain the awareness of people. We make indoor and outdoor signs and banners with material that can withstand the elements and general wear and tear. We'll help you choose the material that best suits for individual needs. If you have existing ADA signs, wheelchair signs, handicap signs, etc.... that need changed or installation, we can do that too! We can also work with you for your logo needs. We use state-of-the art computer assisted signage systems for the creation of fast, inexpensive signs and logos that you will love. Let us get to know you and your business so that we can help you create the signs that will work best for your business. Give us your specs and we'll give you great signs every time. The Sign Studio gives you a start to finish experience for your sign needs that will make you come back. Signs Los Angeles | Looking for Signs? Want your business or event to turn heads? At The Sign Studio, we offer everything you need to stand out in a crowd. Whether you need indoor or outdoor, illuminated or non-illuminated signs, our years of experience combined with the detailed attention we give to your needs will provide you with products that exceed your expectations. Not sure what it is you want or unable to put your imagination to paper? The Sign Studio also staffs expert designers to help you create logos. No project is too large or complex for The Sign Studio. We've helped a wide array of business, both local and national, sell their goods and services. We provide site signs, vehicle and window graphics, architectural and directional signs, and much more. We even create sandblasted signs, and dimensional letters. Of course, small projects are welcomed as well. Need banners for your corporate events or family gatherings? The Sign Studio can help you target your audience, whomever they may be. But our services don't end there. We are a full-service sign repair and installation company. We can envision it, create it, install it, and fix it. The Sign Studio is dedicated to quality over quantity. Our staff is proud to serve the greater Los Angeles area. To request a quote, see our many examples, and learn more about how you can put yourself on the map, check out our website or contact The Sign Studio today! Los Angeles Signs | Do you need ADA Family Restroom Signs? 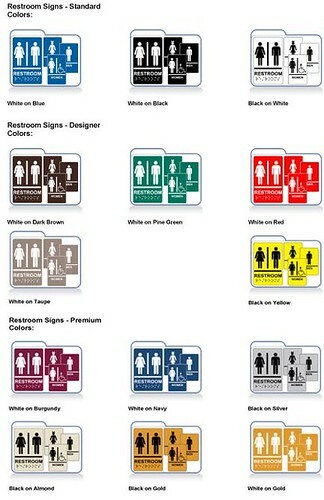 Are you looking for ADA FAMILY RESTROOM Signs or do you have any questions about ADA Compliance? 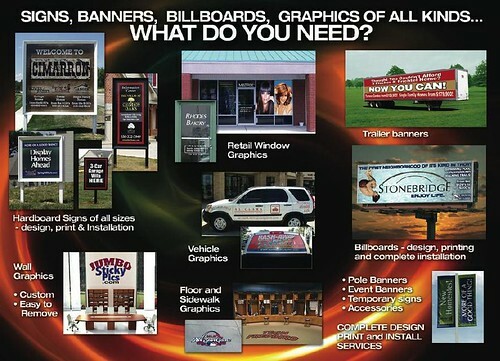 The Sign Studio is eager to help you with your sign design needs. 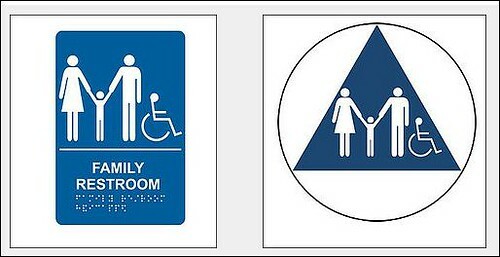 We can create family restroom signs, ADA signs, restroom signs and other signs to meet your needs. We have a creative staff that wants to help you come up with the sign that fits what you have in mind by getting to know you. Why an ADA sign ? The Americans with Disability Act has mandated that facilities that are usable and easily accessible for persons with physical handicaps be clearly marked with an approved ADA sign. There are many regulations that must be met to make a sign ADA approved. For example; the sign must be a certain size, color, finish, text size and font. The Sign Studio can help you with the fine details of making sure your ADA sign is compliant with all the restrictions. Often a business has very few handicap accessible locations. Without proper signs the community with physical handicaps is not being properly served. It is very important that locations that meet ADA needs be properly indicated for use. Weather you need family restroom signs, ADA signs, restroom signs or have other needs of your own; The Sign Studio computer - assisted sign making systems and techniques can make your project cost effective. If you want high impact that will get you the results you need contact The Sign Studio. Los Angeles | Handicap Signs of all kinds............and more! Handicap parking signs and handicap signs of all kinds........What are you looking for? Everywhere you travel in the world, there is some type of regulation regarding public parking. Handicap signs and parking signs are intended to help determine where an individual is permitted to park. Handicap signs are there to determine the optimal spot for individuals with disabilities so that they will not have to travel as far to access the entrance to buildings, and more importantly, in many cases, more room to remove wheel chairs and other equipment needed to get around.Parking signs are used to help enforce policies concerning parking a vehicle in efforts to reduce confusion that can otherwise occur in public parking areas. They are also there to ensure the safety of the public. It is important that every driver understand the penalties applied when they park in areas not intended for them. This will alleviate any worries about having stiff fines levied against them or the hassle of having to pay to retrieve a towed vehicle. Handicap signs, parking signs are some of the most often seen parking signs as drivers make their way around and through parking lots. They are usually positioned as close to the front doors of buildings as possible on a level surface, and are easily discernible from other parking signs. They typically have a blue background with a wheelchair graphic overlaid on it. There are many other types of parking signs such as permitted parking signs, and no parking signs. Understanding the meanings as well as the penalties for violating them is critical for courteous driving. Check out The Sign Studio at www.thesignstudioonline.com today! I guarantee you won't be disappointed with the selection of high quality, custom made signage they have to offer. Whether you need small bathroom signs or large custom made signs or banners, The Sign Studio is your ultimate choice for any sign related project. Signs Los Angeles | How Important is Your Parking Lot Signage? You're a business owner, so you know how important it is to the success of your business to have well-placed, catchy, professional-looking signs. Customers, clients, patients - they all look for signs to know how to get where they need to go. But what happens if your exterior signs are damaged? No matter our best efforts to prevent it, sometimes signs get damaged or stolen; even the best security cameras cannot protect against roaming hooligans and the occasional natural disaster. In these cases, you'll need someone to do sign repair and installation for you. No need to worry - The Sign Studio is there for you! Running a successful business in Los Angeles means having good parking for your customers. It's the first step to getting customers in the door. Along with other factors such as parking stall width, easy entry and exit, and ample availability, your parking lot also needs signs that are installed correctly and make a good impression. That's where The Sign Studio in Los Angeles County comes in. The Sign Studio in Los Angeles County knows the sign industry, and they know that for your business, even a few days without full signage can result in a loss of revenue. So why wait? Get your business's parking lot fully signed by giving The Sign Studio a call. The good people at The Sign Studio are your Los Angeles County custom sign manufacturer, sign repair and installation experts. Do you have questions about Disability Access Signage, Handicap Parking Signs or any ADA Compliant Signs? 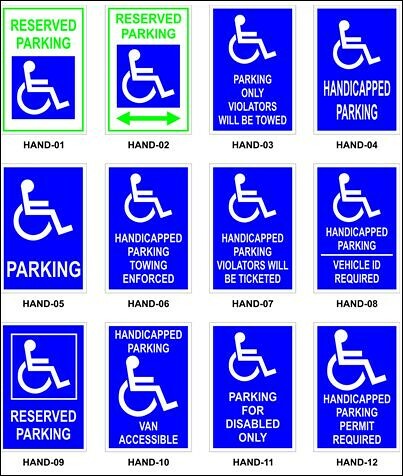 Are you looking for a unique sign to designate disabled or handicapped parking? We are the unique sign company that can create it for you! The Sign Studio in LA County will use their expertise and imagination to create the perfect signage for you. A sign that says and shows your compassion but also incorporates the International Symbol of Access (ISA) or blue wheelchair. Our illuminated signs offer a great advantage for the disabled community by being easily visible in dark locations! Our professional team of designers can help make your environment inviting and accessible to everyone. Our professional team of installers will insure you meet ADA standards with all our ISA compliant signs. We follow all the federal American with Disabilities Act Handicap Accessible Parking Regulations. The Sign Studio is a full service sign company from creation and development to installation and customer satisfaction. Increase your sales with a custom designed accessible sign. Let your signage say "I care" about you! Our indoor or outdoor handicap and accessible signs will meet your needs as you are meeting the needs of others. Cater to the Community! The Sign Studio in LA County does not discriminate. We are the sign company for everyone! When selecting family restroom signs, consider what message you are trying to convey to the public. Are the restrooms equipped for the entire family, ADA compliant and/or do they offer a changing station for mothers with babies? Most family restroom signs convey simple images, often in black and white, that convey the purpose or functionality of the restroom. For example, women are depicted with a triangle shape, imagery that most people associated with a skirt, men are depicted without this added shape and a child is often holding hands between a man and a woman. If the restroom is ADA compliant, the image of an individual sitting in wheelchair is the most commonly chosen for the family restroom signs. Beyond the basic imagery, family restroom signs are available in a variety of color backdrops; black, blue, green or even white. For lighter color signs, the imagery is often printed in black, whereas signs with a darker backdrop may offer the same imagery but in white forms for visual contrast. Family restroom signs are available in vertical and horizontal layouts, and a variety of sizes. When selecting a sign for your business or organization, keep in mind that the sign needs to not only be easy to identify, but readable from a reasonable distance. Consider the overall size of the space as well as where the average visitor's viewpoint will be when selecting the sign's size. Ultimately, the sign's form and function should be simple, easy to understand and visible for all visitors entering the space. 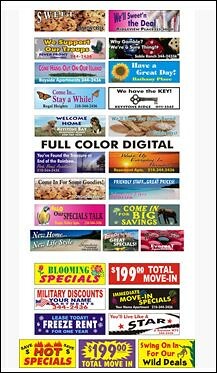 Signs Los Angeles | Lobby Signs - Display Your Logo and show it off! Rules and Regulations for Handicap Parking Signs and Spaces that you should know. Don't take chances with handicap signs at your business, we make handicap signs from restrooms to parking spaces. Our signs meet the high standards required by the AMA and we know where and how high to put them! Accessible handicap parking spaces must be positioned at the closest accessible entrance to the facility. The space has to be big enough for a vehicle, at least 96 inches wide, with additional space on either left or right that acts as an access isle and should be wide enough to accommodate a wheelchair. Two accessible spaces can share an access isle. A sign with the international symbol of accessibility must be located in front of the parking space, mounted high enough to be visible at all times. Van accessible spaces are to have additional signage stating "Van-Accessible" mounted below the international symbol of accessibility. The AMA states that the letters and numbers on signs are to have a width-to-height ratio between 3:5 and a stroke-width-to-height ratio between 1:5 and 1:10. Minimum character height is 3 inches. Confused? Don't worry, we at The Sign Studio understand all of it and will supply you with signs which meet all the standards for handicap parking. We do all handicap signs including restrooms. 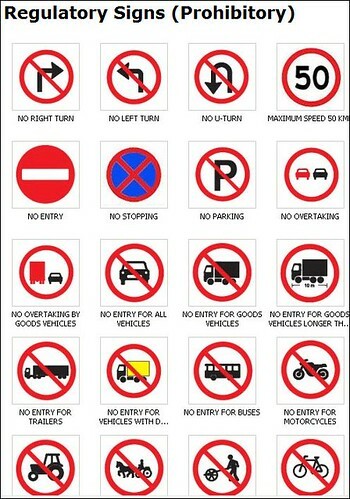 Parking Signs or No Parking Signs - The Clearest Method of Knowledge. The Sign Studio is your go-to place for Handicap Signs, Parking and Traffic Signs, Safety Signs, and more! Picture this: you've paid for prime real estate for your business, including some great parking spots right outside. But when your customers arrive, those spots are already full-- even though your store is empty! Make it clear which spots are yours with custom parking and traffic signs on your property. Did you know that handicap signs in your parking lot are required by the ADA? With the help of our designers, you can create custom handicap signs that comply with the law while adding attractiveness to your space and sending the message that all are welcome at your business. Signs can be a crucial part of creating a safe place to work. With clear, attractive safety signs from The Sign Studio, you can alert workers and customers to potential hazards and dangers on your site, from slippery floors to hot pipes. Signs marking first aid kits, exit routes, fire escapes, and emergency plans are crucial to helping people in your building think clearly in a crisis. Don't leave people guessing! Call The Sign Studio for your custom safety signs today! 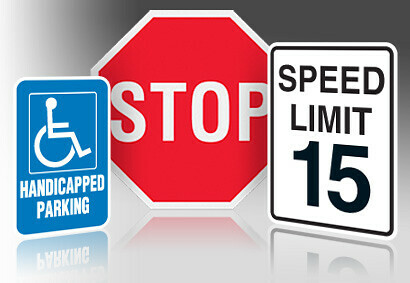 Whether your site needs Handicap Signs, Parking and Traffic Signs, Safety Signs, or all three, The Sign Studio can help! 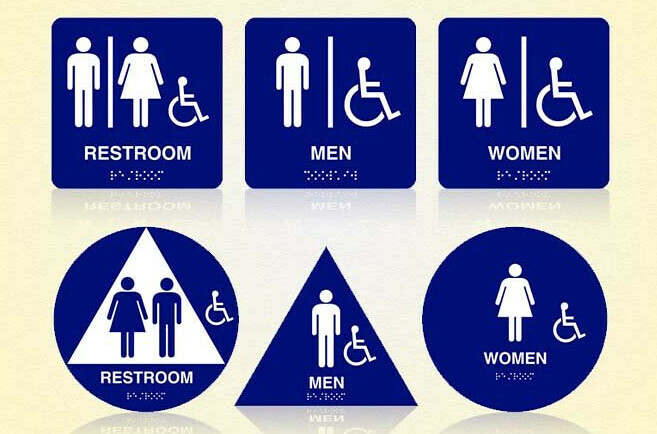 Signs Los Angeles | ADA Restroom Signs - The Most Common Types. ADA Restroom Signs – Common Types That Help Your Business. Remaining ADA compliant in your business is easy with ADA signs from The Sign Studio. Not only is compliance required by law, the added benefit of properly placed signs in your office or store can actually enhance sales and client/customer experience by creating a friendly environment for all your clients or customers. Standard: Signs in this category are ADA compliant. Men's - this sign features a graphic image of a male person and is placed immediately outside the men's restroom door. Braille writing (ADA Tactile & Braille Signage Code compliant) is available. Women's - this sign features a graphic image of a female person and is placed immediately outside the women's restroom door. Braille writing (ADA Tactile & Braille Signage Code compliant) is available. Room Locator - this sign, features graphic depictions of either a man and woman on the same sign or as sperate gender specific signs followed by a locator arrow. - The ISA (International Symbol of Accessibility) is depicted by the familiar wheelchair icon representing handicap accessible facilities. Available for men, women or as unisex. Typically printed with raised white letters on a contrasting, high visibility, blue background these signs are available in a variety of shapes and sizes. The Sign Studio regularly reviews the laws and regulations to insure their ADA signs are always compliant with the most up to date standards and regulations. Signs Los Angeles | Looking for ADA Signs For Your Business? Are You Looking For ADA Signs For Your Business? We know you're invested in creating an environment that welcomes all your customers, no matter their needs. Here at The Sign Studio, we always want your business to look its best - ADA signs included. That's why we'd love to work with you to take your ADA compliance from "required" to "inspired". We're experts on ADA requirements for signs, which can get complicated. Did you know: font, font size, info graphics, colors, and contrasts are all specified under ADA regulations? Our job is to make sure your signs are compliant, so you can get back to your job: taking care of your business and customers. Even though the standards set forth by the ADA are strict, that doesn't mean your ADA signs have to be boring. Just as we do with all other signs, we're committed to making ADA signs that are as unique as your business is. We can help you apply your branding to ADA signs that will enhance your business's image. 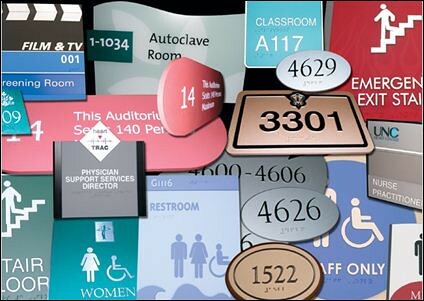 Have questions about how your business can integrate custom ADA signs into your existing facilities? Leave them in the comments below, and we'll answer! With The Sign Studio, ADA compliance never looked so good.